Kinematic Viscosity Measuring System AKV-202 - Glorious Green PCB Co.,Ltd. 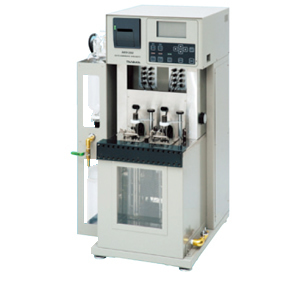 Model AKV-202 has been designed for automatic determination of Kinematic Viscosity. Once sample is set, the series of process including timing, cleaning/drying, and reporting are fully automated. AKV-202 is an economical bench top system which saves not only the technicians’ time but also valuable laboratory floor space. lSO 3104, ASTM D445, IP71, etc.